WASHINGTON (CNN) -- The federal government is at risk of being unable to fight off attacks on the nation's computer networks unless it strengthens its cyber-security work force, according to a report released Wednesday. 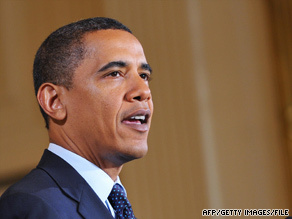 President Obama calls cyber security "one of the most serious" challenges facing the nation. The nation's security could be in jeopardy because not enough workers are sufficiently trained to protect computer systems from hackers, criminals, terrorists and foreign governments, the Partnership for Public Service and consulting company Booz Allen Hamilton found after studying 18 federal agencies and interviewing experts inside and outside government. President Obama has said the cyber threat is "one of the most serious economic and national security challenges" facing the nation. In May he announced his intention to create the post of cyber-security coordinator to oversee "a new comprehensive approach to securing America's digital infrastructure." "The overriding finding of our analysis is that our federal government will be unable to combat these threats without a more coordinated, sustained effort to increase cyber-security expertise in the federal work force," the report, titled "Cyber IN-Security," states. The report cites four challenges facing the government: an inadequate supply of potential new information technology experts; uncoordinated leadership of cyber-security workers; a cumbersome hiring process that discourages people from seeking government jobs and fails to provide a career path for those who do; and hiring managers and human resource specialists who disagree on the quality of IT candidates. The report recommends that the coordinator develop a strategy for recruiting, training and retaining cyber-security experts. The report also recommends the White House reach out to universities and the private sector to encourage Americans to develop technological skills, similar to what previous administrations did during the space race. The study calls on the Office of Personnel and Management to fix the federal hiring process, create a cyber-security career path and expedite security clearances. It suggests Congress provide significant funding for training federal workers in "state of the art" technologies and for college scholarships in the cyber- security field. Partnership for Public Service is a nonpartisan, nonprofit organization devoted to building a better federal work force. Booz Allen Hamilton is a management consulting firm.